How to ensure the closing of a short sale? Short is sale is a time taking and stressful process. It requires you to be patient and keep going through the process of short sale. There are a number of factors that can fail short sale. Closing a short sale successfully requires a lot of experience, skills, documentation and perfect negotiation. Any kind of delay or misunderstanding of the communication can ruin your efforts. There is no hard and fast rule to close a short sale because every lender may react differently. Instead of wasting time and thinking what can go wrong in this transaction, it is much better to be proactive and taking required steps that can help you close the short sale. 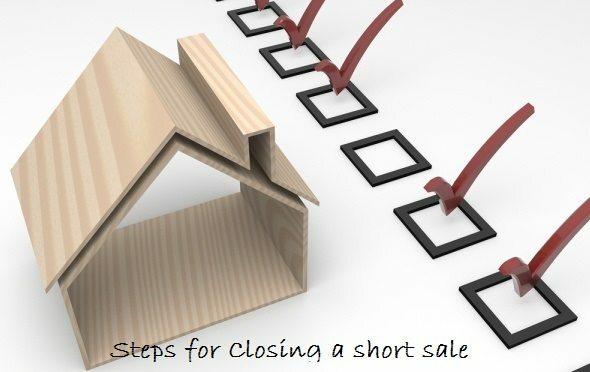 Here are few steps that may be helpful closing the short sale. Reviewing the short sale proposal can help you avoid many major mistakes. Make sure the closing costs that the seller and you agreed that the seller will pay are authorized by the short sale bank in the short sale approval letter. If there is any kind of shortage, decide who will pay it and consult the bank as well. You need to arrange a proof that the closing cost approved by the bank and in your contract letter are the same. If you suddenly hit with the unexpected buyers closing cost, it can be a big issue and it can delay the closing if you need to sign the new GFE. If you short sale transaction involves two or more than two lenders make sure all the short sale approval letters are the same. If there is any discrepancy about commissions, you don’t have any agreement in that case. All the short sale approval letters involved in the particular short sale transaction should clearly specify the amount that should be paid to the second lender, and that amount should be the same. If the buyer wants to add additional individuals to the deed at closing they must be name and approved in the approval letter. You can’t have different individuals approved from both approval letters; they must be same and should be clearly approved by both approval letters. If you cannot close by the earliest date between the two letters, then you will need to get a short sale extension from that lender. Short sales are normally sold in their “as is” condition. It means that seller will not make any kind of repairs. If your home inspection team reveals some problems, that are yours, not seller’s. Ask the short sale bank to repair. But the bank will probably reject that notion. There are a number of problems associate with financing a short sale. From the appraisal to underwriting, course of action is and complete strict policy is implemented. Even a little mistake will cause a short sale loan to get stuck that will result in the rejection of short sale proposal. You may have defined the financing conditions in the loan, but it becomes critical to answer that who will take care of, say, FHA repairs noted in the appraisal. If the seller is selling home “as is” condition, the seller might refuse accepting the funding conditions. But the real world is if the seller refuses to help the buyer meet funding conditions, the short sale won’t close unless the buyer does it. Buyers don’t want to make repairs to a home, the buyer does not own. It is suggested preparing to tackle those projects by yourself if the seller rejects to help work out conditions. You need to get permission for the seller in writing and most sellers will help a buyer clear funding conditions. If the seller refuses to help work out funding conditions, be prepared to tackle those projects yourself, and get permission from the seller in writing. Most responsible sellers will help a buyer clear funding conditions.